So, what's the craic today? "Life is not a journey to the grave with the intention of arriving safely in a pretty and well-preserved body. Rather, the best finish is to slide in, broadside, thoroughly used-up, totally worn-out and joyously proclaiming, 'Wow! What a Ride!' "
Wish I knew who said that. They knew that happiness is the journey, not the destination. Don't abuse yourself, but don't miss out on life by being too conservative, either. A Formula 1 driver doesn't cross the finish line with half a tank of fuel weighing him down. You can't save life in your fuel tank, waiting for a special occasion. Every day is a special occasion. If you don't believe that, try missing one. Here's the link to the Inishowen Picture Gallery, if that's all you're after. I'm Ash McFadden. I started this website just for my friends and family. Word, however, seems to have leaked out. I can live with that if you can deal with me. For those of you who don't know me, I'm an irreverent, good-natured cynic. I got my Irish Residency Card and my Explosives Licence from the Irish Dept. of Justice on the same day and my recommended work ethic is, "Find a way to get paid for doing what you like". 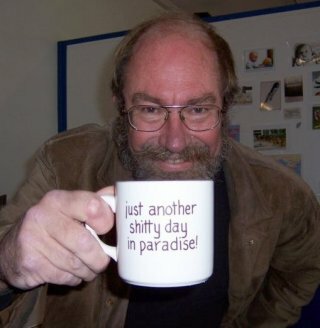 I designed laser light show systems and laser cutting equipment and I performed laser shows, mostly in planetariums, for over 30 years before retiring (or so I thought) and moving here. I found a way to do something I liked for a living - I did laser cutting and engraving for donkeys years and I'm still doing it, with job shops in Donegal and back in Colorado, both. I took some time away from lasers to teach astronomy and run a local planetarium from 2002 to 2018. And I like recreational explosives. Below, you see the largest scientific rocket ever launched from Ireland, my "RLM" (Riduculously Large Missile). For info about my laser business, both light shows and laser cutting, see www.WorldWideLasers.com. We have a laser job shop in Colorado, too, if that happens to be closer to you. 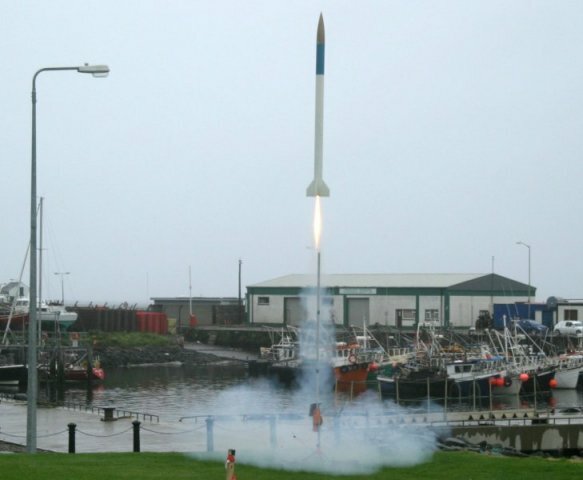 For information about rocketry, see www.IrishRocketry.com. Life's not about waiting for the storm to end. It's about learning to dance in the rain. Where the hell is Inishowen?